If think that skipping out on your tooth-brushing routine every now and again is no big deal, you need to keep reading—especially if you care about your health. Recent studies show that skipping out on daily dental care; i.e., brushing your teeth twice a day, increases your risk of heart disease by as much as 70 percent. Poor oral health has also been connected with an increased risk of lung disease, diabetes and, for women, premature birth of babies. Tooth decay is the number-two most-common health issue in the nation, lagging only behind the common cold. That’s a scary fact, considering that cavities are an obvious sign your health is in decline. Learn more about cavity prevention for good health from your teeth to your toes. Before you live in fear of all the nights you passed out on the couch without a giving a second thought to heading to the bathroom for a good tooth scrubbing, know that it’s easy to get on track with good dental care habits. Commit now to twice-daily brushing and rinsing with fluoride mouthwash, once-daily flossing, and routine visits to a dentist in Westminster every six months. Now that you know you can set things right with simple dental care tasks and finding an affordable dentist for those bi-annual exams, you should know exactly what happens when tooth decay occurs. The word cavity literally means “hole.” If your teeth are not kept clean and free of bacteria and plaque, a cavity is exactly what will develop in one or more of your teeth. 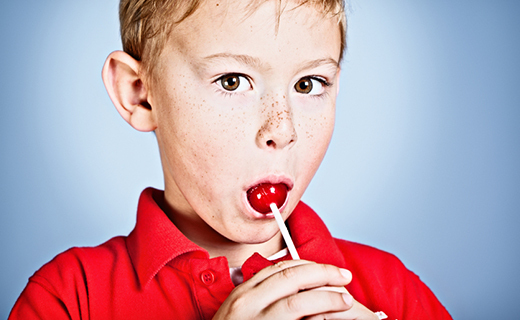 Cavities are the spawn of a series of very unfortunate events that are highly preventable. Bacteria in the mouth convert lingering food particles—namely sugar and starchy carbohydrates—into acid. Together the acid and bacteria join forces with the stuck bits of food and saliva to form a sticky substance, known as plaque. Plaque, as you may be aware is the initiating factor in tooth decay. Plaque is rich in acids that dissolve the protective coating of enamel on your teeth, creating cavities. If you don’t brush and rinse after every meal, you may want to reconsider that habit – plaque can start to build up within 20 minutes of eating. Fortunately, there are a few different ways to treat cavities and combat bacteria, plaque, and acid before they can do any more damage. Drill and fill. Got a small cavity? Your dentist in Westminster will remove the old portion of the tooth and replace it with a filling. Cap or crown. For more extensive cavities, the dentist will place a cap, also known as a crown, over the tooth to restore it to its normal size and shape. Root canal. Decay that spreads to the tooth pulp and becomes infected requires complete removal of the tooth’s pulp and nerve, followed by a sealing of the roots. Teeth-cleaning technology. Researchers are working on products to catch and treat tooth decay very early. A special fluorescent light will eventually be used by dentists, which can recognize the development of decay before it starts. Researchers are also working on a “smart filling” designed to time-release fluoride to prevent further tooth decay in a small cavity and surrounding teeth. Don’t skip brushing. Skipping brushing can led to an accumulation of plaque, especially at night, when saliva activity is low. Hydrate. If your mouth feels dry—hydrate. Movement of clean fluids, like water and saliva, can keep bacteria from sticking in your mouth, preventing tooth decay. Watch your diet. Sugar isn’t the only cavity-causing agent; starchy, refined carbs can do just as much damage. The staff is always so nice and the dental hygeniest was thorough but also nice and explained things very well. Great with kids.